This authentic black n gold Pitt jersey has sewn on everything including his A and comes signed by this superstar and future HOFer on his back numbers in black with his #87 included! 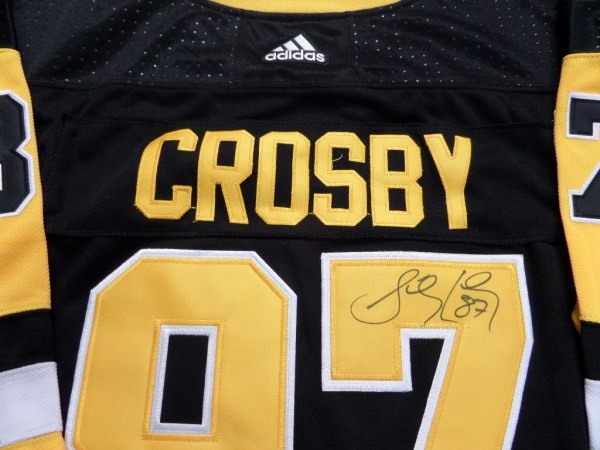 Great piece from this Penguins legend and retails in the upper hundreds easily. Guaranteed authentic and a must for the Pittsburgh fan. Even has the captains C on the front!